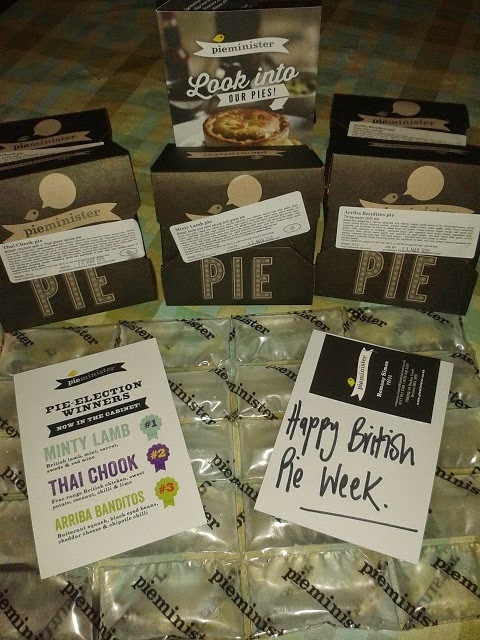 You may well have read that on Day Three of British Pie Week we got a pie delivery from Pieminister pies. 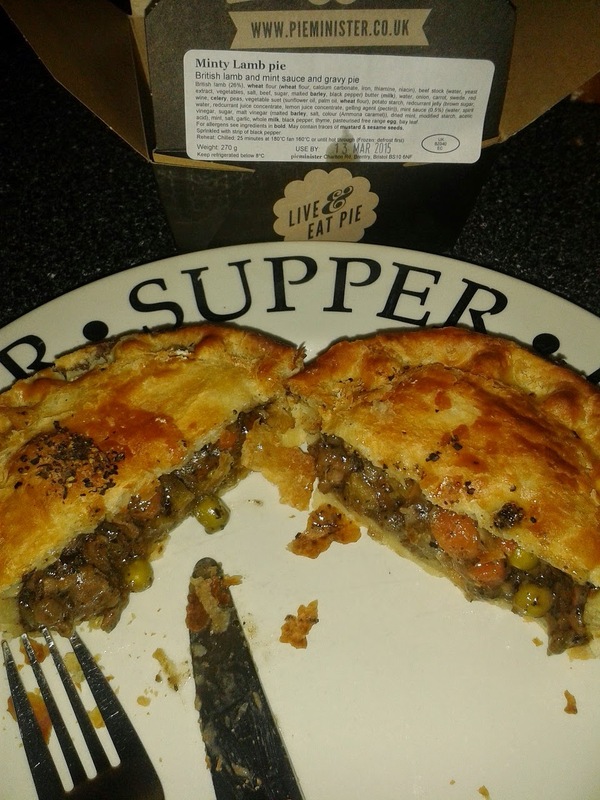 The Bristol based pie firm had done a Pie Election in the lead up to British Pie Week 2015 in a bid to let pie fans nationwide decide which Pieminister pie they would like to see back on sale at the Pieminister pie stalls and selected Pieminister selling restaurants across the UK. 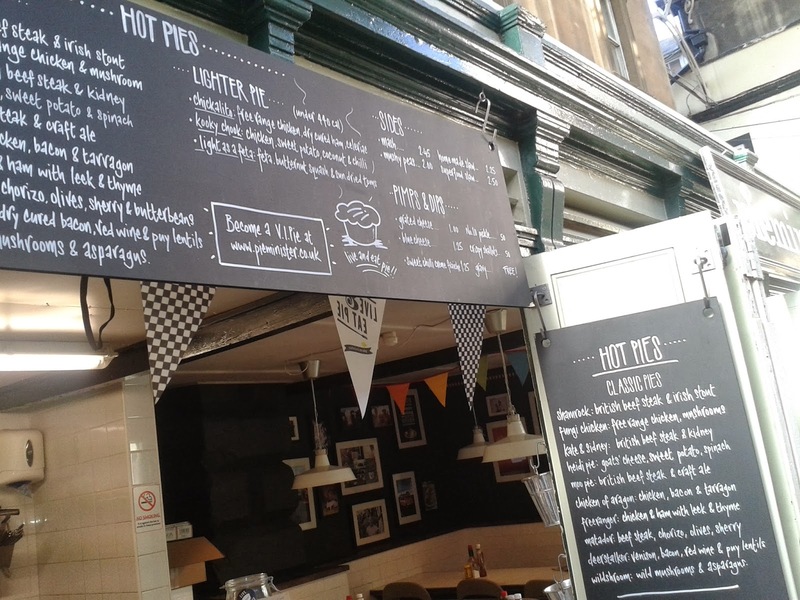 These are available in many Pieminister-selling pubs and restaurants and market stalls for British Pie Week only, so get on down and reminisce about the good old times with these pies! We're going to be rating all three, starting with your number 1 choice - Minty Lamb! The pie looked in great condition and at £3.50 for a cold pie from their website it is reasonably priced for a quality British pie made using British meat and quality ingredients. Golden in colour, the pie pastry was nice and crispy on top, really nice and melt in your mouth upon eating. It certainly added a good crunch to the pie experience, and the side and base pastry were lovely and crisp too. The content of the pie was just as good. The pie had a very good viscosity of gravy, not leaking about all over the plate but noticeably there. It complimented the crisp, but flaky pastry. There was quite a bit of veg in there but I was surprised to find there was only 26% lamb in there, as it was certainly a meaty pie and I was not left bemoaning a drastic lack of lamb! A little more meat would have made this pie ideal but it was very good and gave you some of your 5-a-day veg to boot! The minty flavour was a little strong at times for me, but it does do exactly what it says on the box so I can hardly criticise them for that! I'd certainly love to have another one of these Minty Lamb pies and delighted they brought them back. It's Pierate Highly Recommended! All in all, it was great to have another Pieminister pie and a real shame that this pie was only going to be available in the short term. They are a fine example of a local pie chain going global and set a benchmark for many of the smaller pie firms we have rated to as-pie-re to!